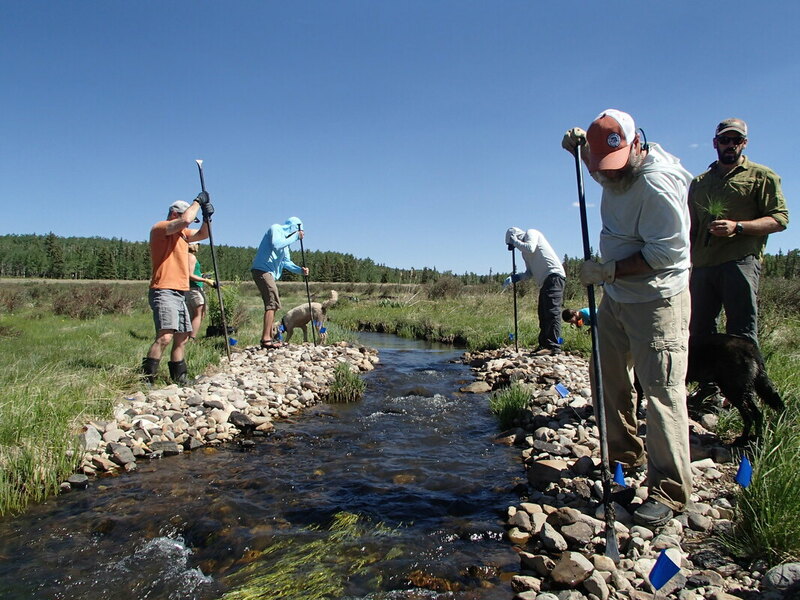 In 2014, Trout Unlimited and Conejos County, with funding from Great Outdoors Colorado (GOCO), embarked on an ambitious project to protect 3.5 miles of Jim Creek, which is home to a conservation population of native Rio Grande cutthroat trout. Phase I of the Jim Creek project involved installing and repairing fencing to keep cattle out of the stream and rest a long-overgrazed section of state land. 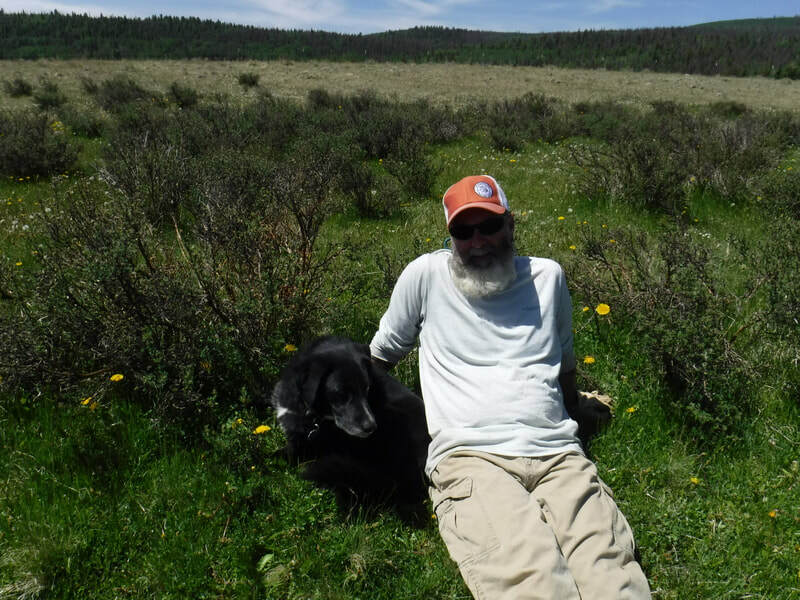 It also catapulted a long-term stewardship program undertaken by TU’s San Luis Valley Chapter to help the State Land Board and grazing lessees maintain fences in a very remote watershed. 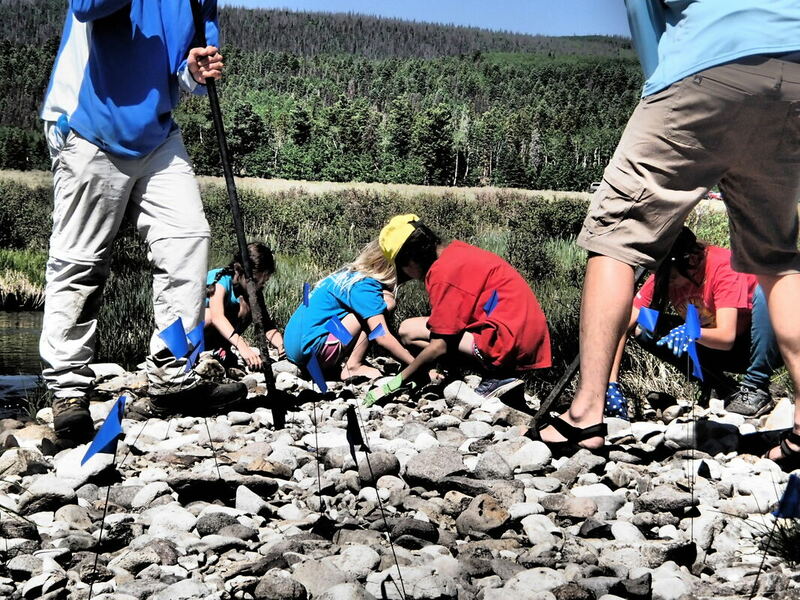 In 2017, Trout Unlimited’ s Western Water and Habitat Program received grant funding ($40,000) for stream restoration on the protected parcel from the San Luis Valley Conservation and Connection Initiative (LOR Foundation), thanks in large part to $7,500 in-cash match raised by the Rocky Mountain Flyathlon (a program of Running Rivers). 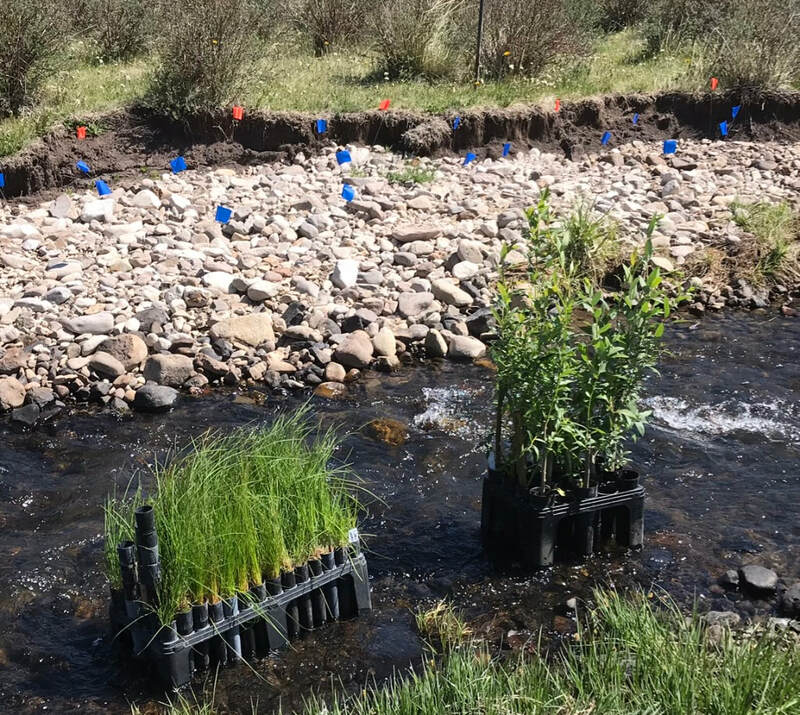 The project, completed in October 2017, restored fish habitat on a half-mile of Jim Creek using on-site materials and innovative techniques to re-establish a healthy functioning stream channel and quality fish habitat. 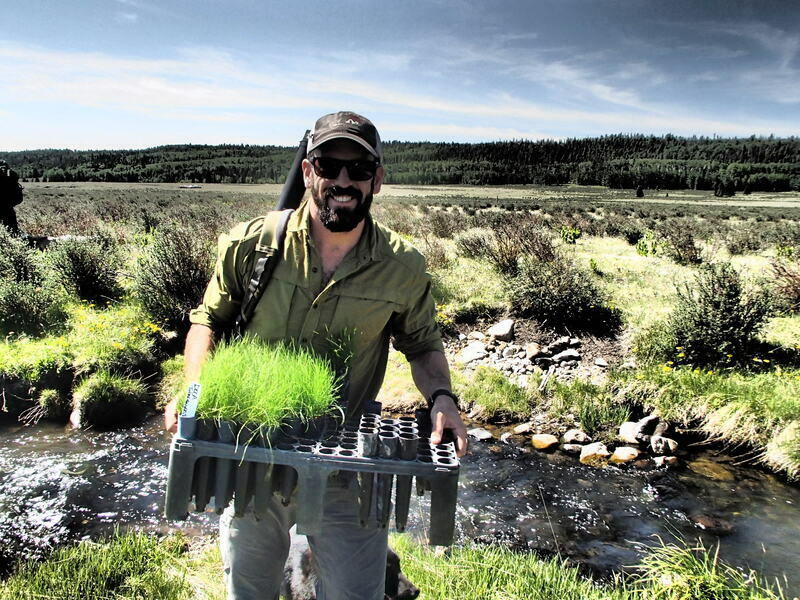 TU pursued the project to address decades of overgrazing that had created an over-wide channel with denuded banks susceptible to erosion and braiding caused by cattle trailing and bank trampling. 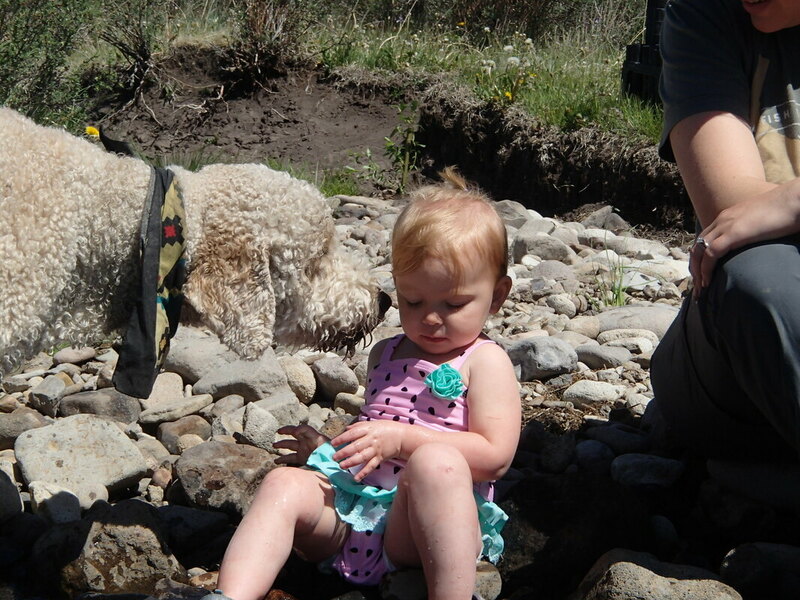 As the stream widened, it lost the energy required to build and maintain pools, resulting in long sections of very shallow water essentially devoid of pool habitat. 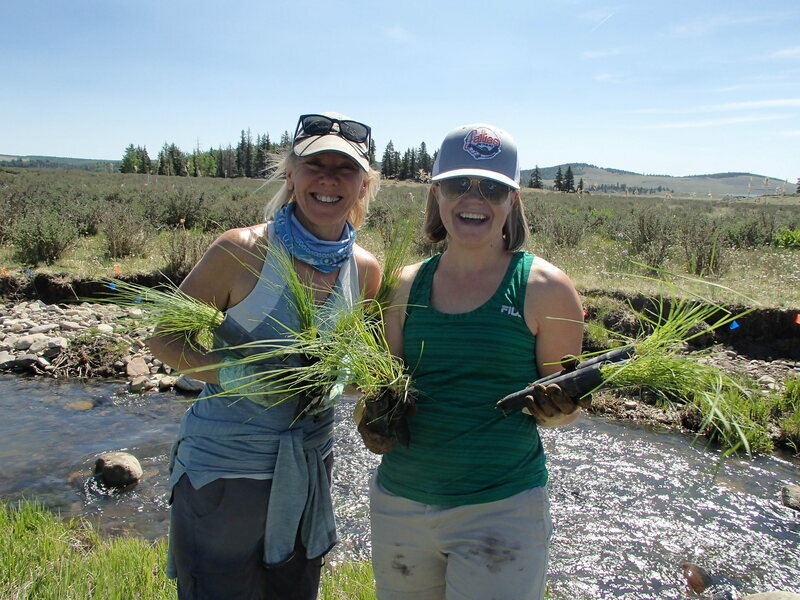 In addition, there were sections with cut bank erosion cutting off water supplies for riparian vegetation like sedges that stabilize banks with complex root masses. 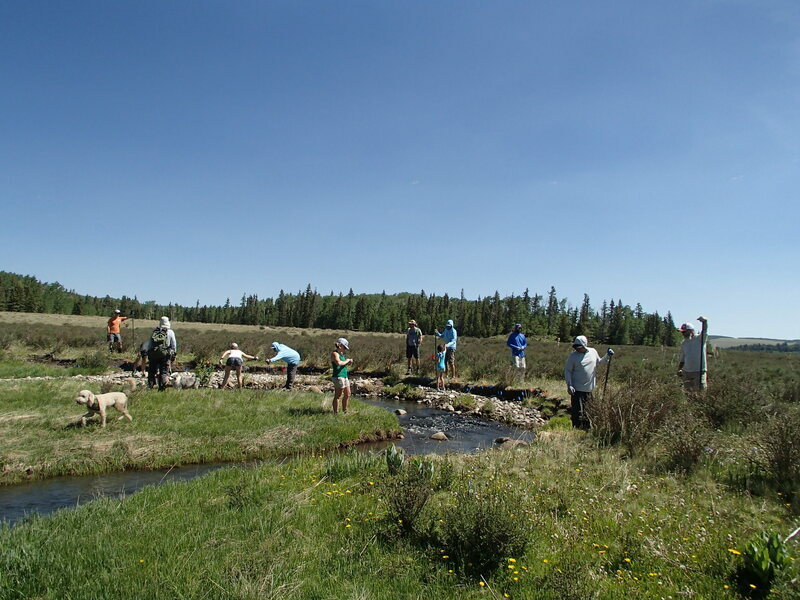 The project restored proper stream function by repurposing on-site materials to narrow the channel and re-establish a single thread stream with a healthy pool to riffle ratio providing key habitat structures that offer cover and refuge in low flows. The restoration work was completed in October 2017, establishing 45 new pools and adding another 40-plus structures to stabilize banks and narrow the stream channel. 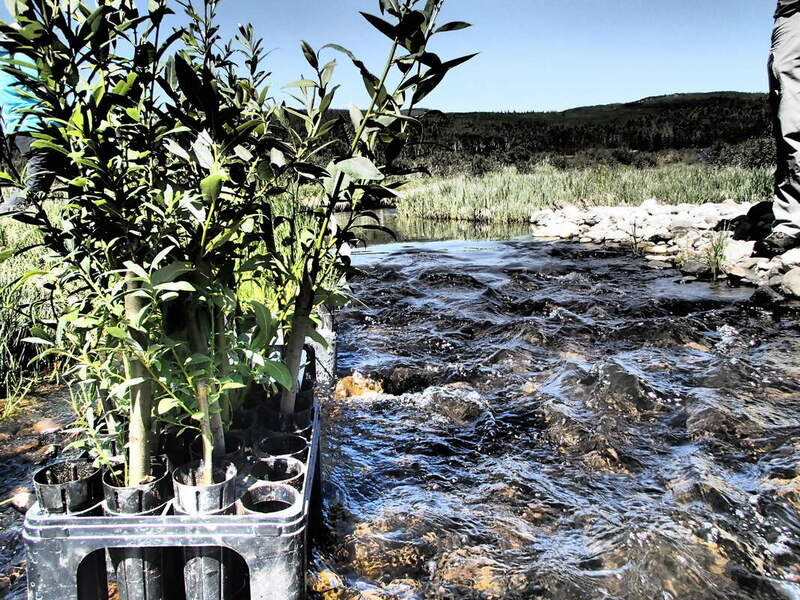 The narrower channel will concentrate stream flows, creating the energy required to maintain pool scour and quality riffle habitat. 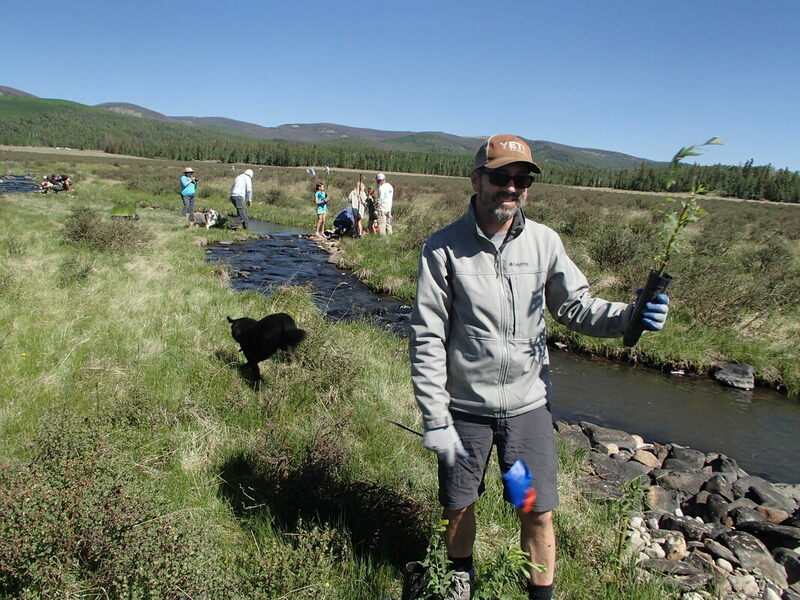 While Phase I of the Jim Creek restoration project is now complete, the work to protect and restore this beautiful mountain stream is far from done. 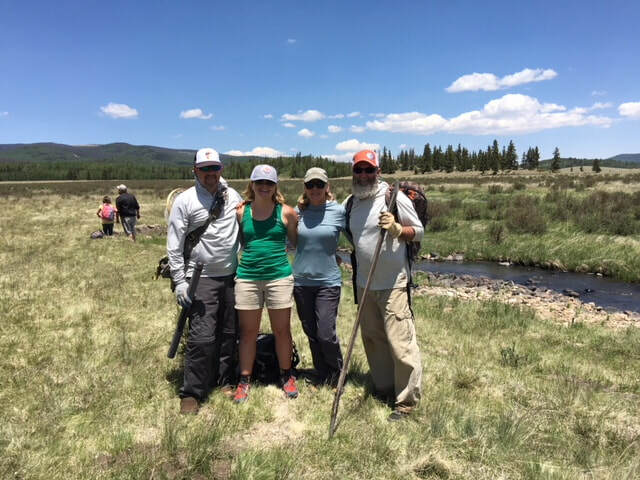 Here are a few photos from the 2018 Jim Creek work weekend. 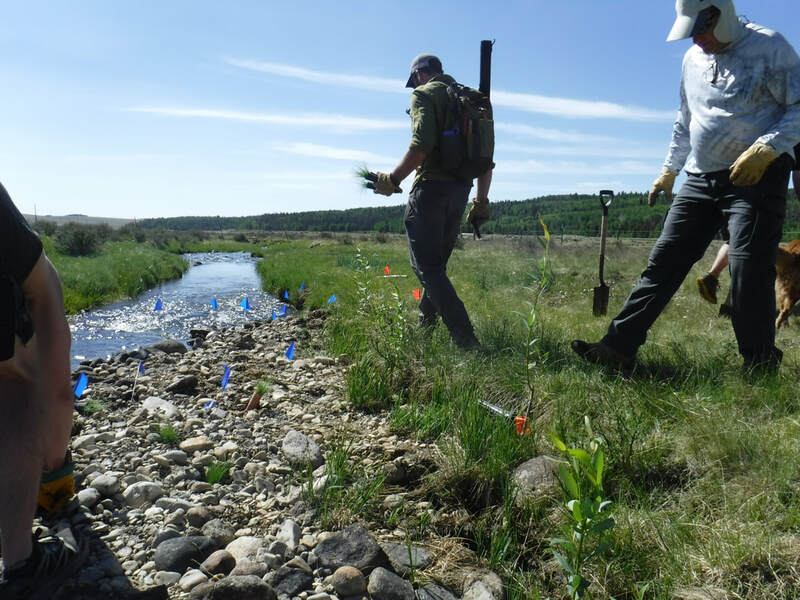 Additionally, planning for Phase III of the restoration work is under way and partners plan to design and implement another half-mile of restoration work in fall 2018. 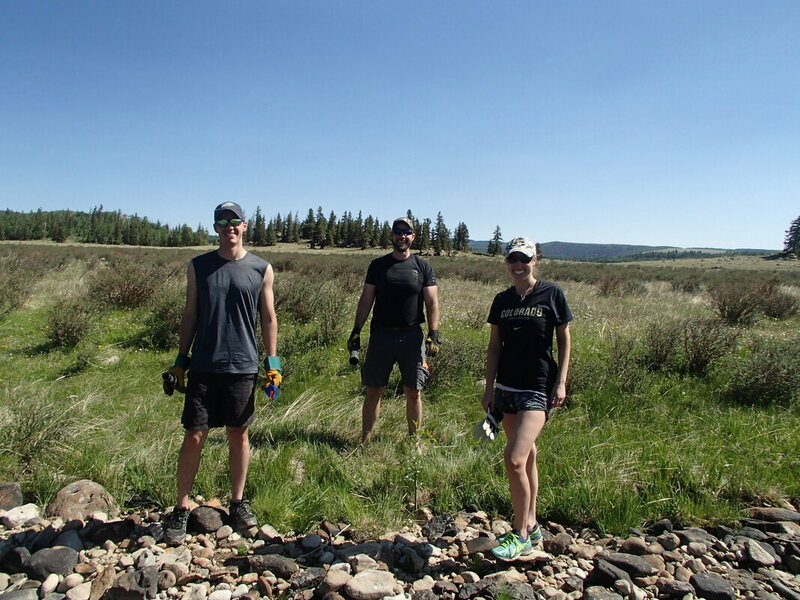 Partners will return in the summer of 2019 to plant the banks of this new half mile, as well as to fix fence to keep the cattle out of the Jim Creek. 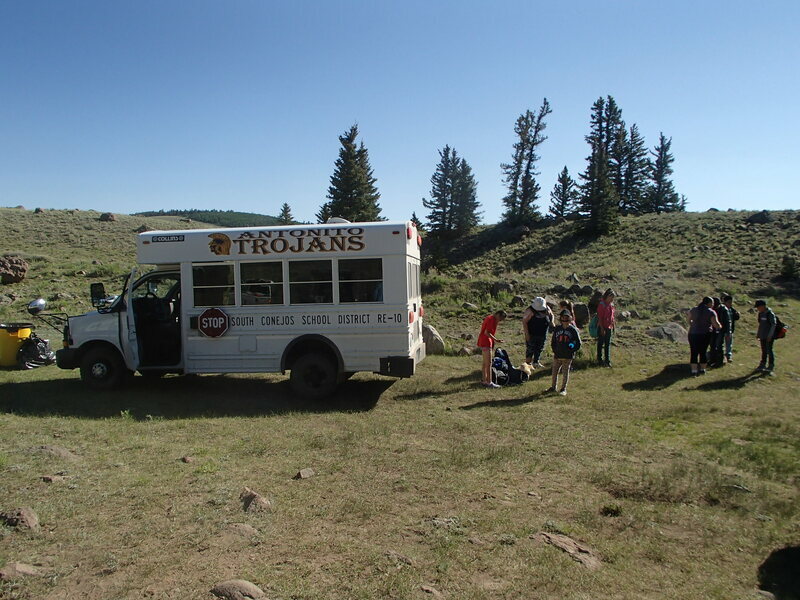 TU is also working with the U.S. 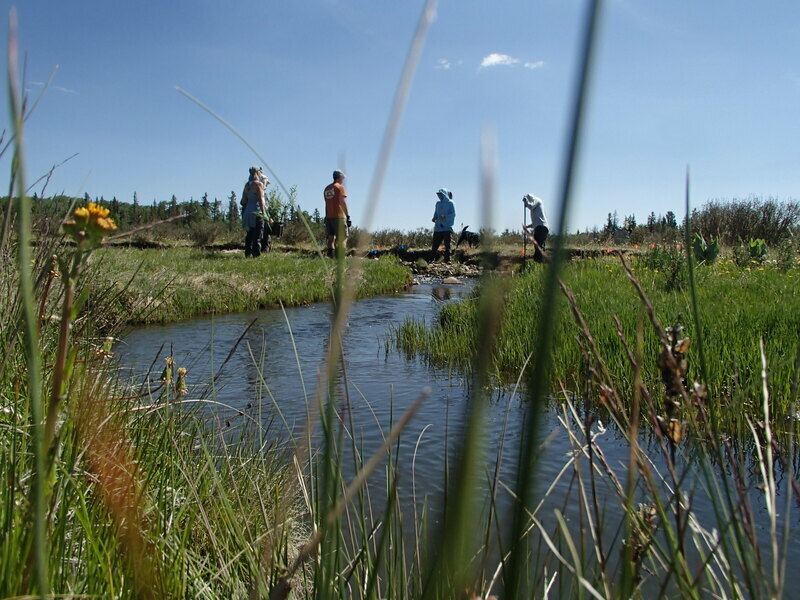 Fish and Wildlife Service and the upstream landowner and partner, the U.S. Forest Service, to replace an existing undersized culvert that is currently a seasonal barrier and a significant detriment to water quality. 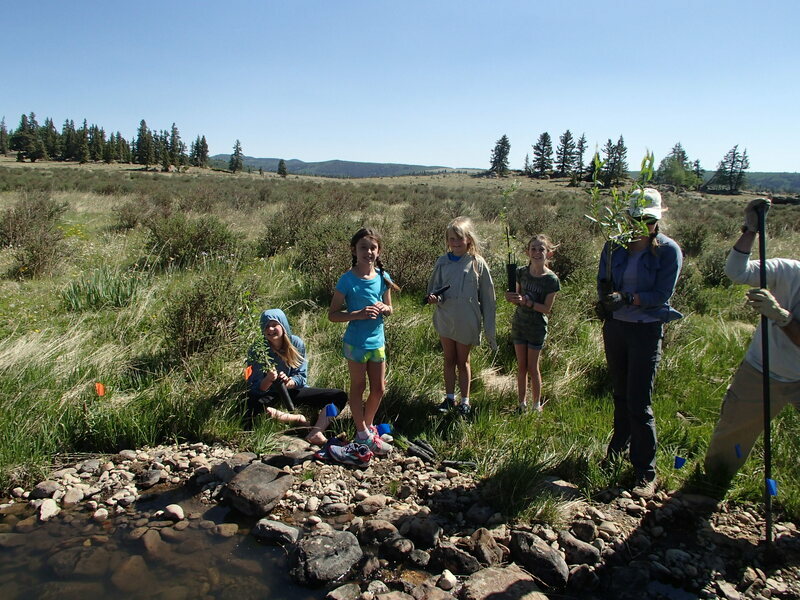 This project never would have happened without funding from the LOR Foundation through the San Luis Valley Conservation and Connection Initiative, GOCO’s Riparian Restoration Grants, and Colorado Trout Unlimited with funding raised through the Rocky Mountain Flyathlon. 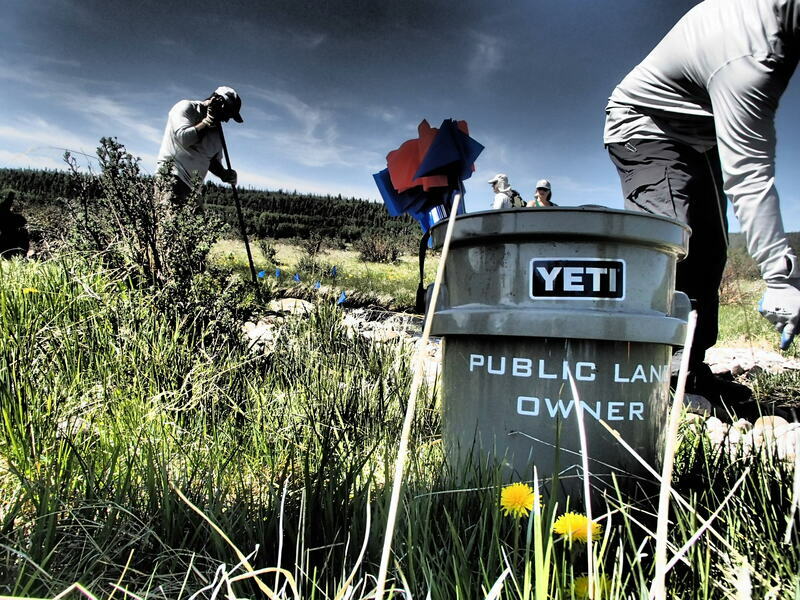 A huge thanks also goes out to State Land Board for being an active and willing partner and adaptive landlord for our state lands. 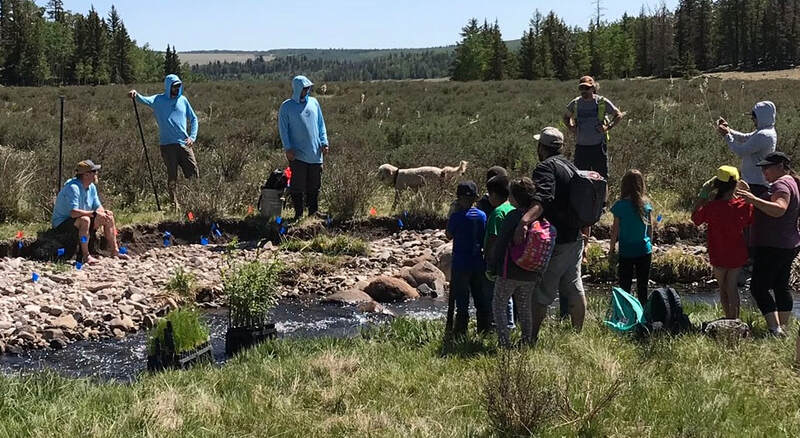 Finally, a huge shout out for all of the volunteers who came out to help plant the banks of Jim Creek to ensure a stable future for this incredible creek!